Dr. Christian Weigel completed his Internal Medicine Residency at Saint Louis University School of Medicine after obtaining his medical degree there as well. He is board-certified in Internal Medicine. 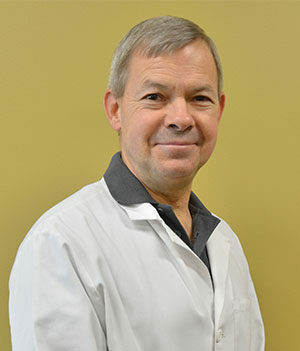 Dr. Weigel moved to Morehead in 1996 with his wife, Dr. Nancy Weigel, and their 5 children. He has cared for the people of Rowan and its surrounding counties ever since. His practice welcomes adult patients presenting with any medical problem. In addition to being a founding member of Morehead Primary Care, Dr. Weigel also serves as Medical Director for the Life Care Center of Morehead. When not practicing, Dr. Weigel is active in his parish, Jesus Our Savior Catholic Church, and also enjoys gardening, landscaping, and cycling.